Social media networks: we all have them and we all post our most personal information on them. Now how do we ensure that our personal information stays where we would like it to be? The answer to this is the same to securing anything, we need to protect it. But how can we do that? The answer to that question and many more regarding the topic of Facebook Account security will be touched on, in the hopes that everyone remains safe and secure online. One of the most important methods of protection with Facebook or any other online program is to ensure you have a strong login password. The best suggestion for this is to distance yourself as much as you can from the password you choose. This means no personal names, birthdays, typing the same number or letter six times in a row and don’t you dare let me catch you using the word “password” as your password. That’s like placing a security system on your house but leaving the door unlocked and open. For the ideal password, I would suggest eight or more randomly generated characters which include a combination of numbers, uppercase and lower case letters. The more complex it is, the more difficult it will be to crack, just make sure you personally don’t forget it. Following this, the next course of action is to take whatever mobile device you use (Android, I-phone, whatever) and link it to your Facebook account. This ensures that even if someone does manage to log onto your account, you will know long before you get back to your computer. Another cool trick while on the topic of mobile connections is to enable login notifications on Facebook. This ensures that when a device which is unrecognized by your account logs in, the warning bells sound. This method of security is used to prevent you from being found by unwanted users by limiting their potential access to you or your account. One of the best ways to ensure this security is met is in the tagging function. Although it may be cool to tag you and your friends in pictures to show who you were hanging out with at what time, this is making you visible to anyone who is in connection not just to your account but anyone who was tagged in the photo and all of their contacts. Sometimes it’s better just to use names and ignore the tag function altogether. 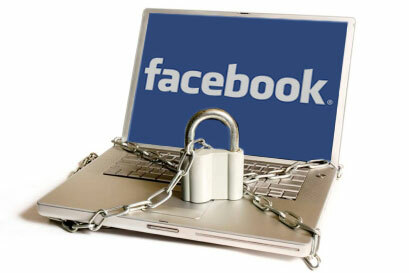 Another important function to consider when on the topic of internet security is that of the viewing function within Facebook. Simply speaking, there is a function which prevents everyone who isn’t on your contact list from seeing anything to do with your profile. Additionally, Facebook also features its famous “block” option which prevents a user from even finding your Facebook account. These are two important resources for staying below the radar and prevent unwanted security risks.